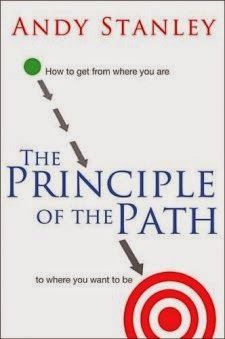 The Principle of the Path by Andy Stanley explores how we end up where we are in life. Most of us have an idea of the direction we want our life (relationships, career, dreams, ect.) to go, but a lot of times we haven't reached this destination. This books helps us understand why we aren't where we want to be in life...and how we actually can get there. Andy Stanley is a great communicator, so his writing style is very easy to follow. This book uses scriptures, anecdotes, and advice to help the reader evaluate their life choices. Though it can be a bit repetitive, I think the message in this book and the wisdom gained makes it worth the read.